After the drama that happened while Ant-Man was being made, with original director Edgar Wright backing out and Marvel quickly trying to find a replacement, it seemed like the film would end up being more trouble than it was worth. After all, Ant-Man doesn’t have the name recognition of Iron Man or Captain America, and his movie wouldn’t even have the irresistible hook of a talking raccoon. Against all odds (or at least some odds), though, enough people actually liked Ant-Man that Marvel has already started work on a sequel titled Ant-Man And The Wasp. But apparently, even Marvel wasn’t expecting the film to be a hit, because one of its biggest stars was only signed on to be in one movie—an uncharacteristically conservative deal from the sequel-happy studio. 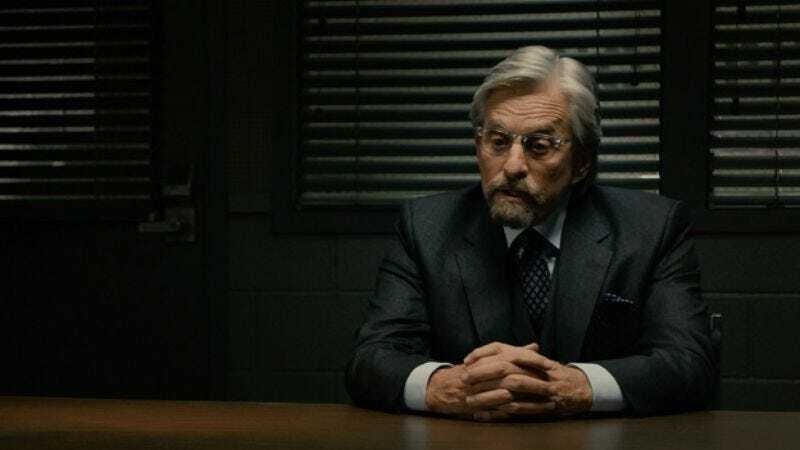 That star is Michael Douglas (Hank Pym in the movie), and Collider reports that he’s currently in talks with Marvel about securing his future in the Marvel Cinematic Universe. Douglas has been contacted by Marvel, and though he has nothing but good things to say about the first movie, he does note that he hopes he “won’t have to carry quite as much expositional dialogue” in the sequel. He also says that he thinks it’s funny to be “involved with a movie that already has a release date in 2018,” which is delightfully quaint.